Co-owning property with a friend, family member or business partner has the immediate benefit of increasing an investor’s purchasing power while reducing the burden of corresponding expenses. Many investors are unaware that co-ownership can also substantially increase the depreciation deductions both owners can claim for an investment property. BMT Tax Depreciation can provide a split depreciation schedule for any investment property that was co-purchased by multiple parties. 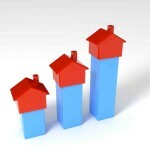 The most common example of such an arrangement would be spouses purchasing an investment property together. A split depreciation schedule allows assets that are co-owned to be depreciated according to each owner’s interest in the assets. 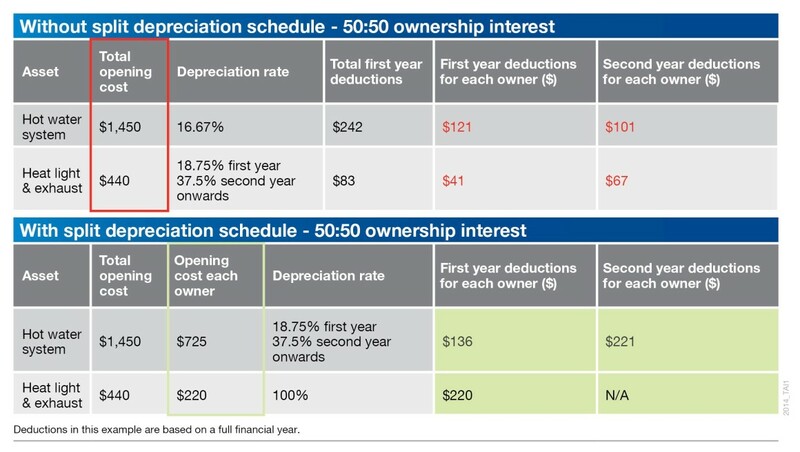 Many co-owners make the mistake of calculating depreciation and then splitting the deductions based on ownership percentages. However, depreciation legislation allows co-owners to split an asset’s value by ownership percentage first, potentially qualifying them for higher rates of depreciation. As a result, co-owners are able to increase their deductions substantially by writing off plant and equipment items far sooner using methods such as low-value pooling and immediate write-off. BMT Tax Depreciation specialise in depreciation and are able to structure a schedule in this way to maximise deductions. Low-value pooling is a depreciation method whereby an investor with an ownership interest in an asset of less than $1,000 in value can claim deductions at an accelerated rate of 18.75% in the year of purchase and 37.5% each year afterwards. As each investor’s ownership interest may qualify for the low-value pool, co-ownership expands the number of items that can be claimed at this higher rate of depreciation. This method of assigning ownership interest also applies when assessing which items qualify for an immediate write-off. Ordinarily an asset’s value must be under $300 to be completely written off in the first year. However, co-ownership also allows for an immediate write-off to be claimed for any ownership interest which falls below this value, increasing the range of eligible assets. A hot water system purchased for $1,450 is able to be depreciated using the low-value pool, greatly increasing the value of deductions. The split schedule is also able to allow the heat light and exhaust unit valued at $440 to be written off immediately as a $220 deduction for each of the owners. A split depreciation schedule is available to any investors who co-own an investment property, whether they are husband and wife, friends or business partners and for any ownership ratio. 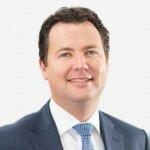 By utilising low-value pooling and immediate write-off on the many fixtures and fittings within an investment property, investors are able to discover potentially thousands of dollars of additional cash flow.